Take Justice! 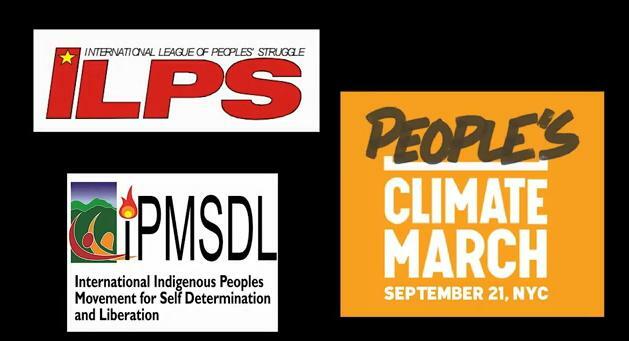 Join the People’s Climate March! The United Nations promised us peace, development and progress. We see wars of aggression, inequalities and destruction. Capitalist greed for profit is taking its toll on humankind and the planet. Imperialism or state monopoly capitalism is our scourge, the biggest man-made calamity. It is the root cause of the unprecedented economic, financial and environment crisis, food and energy crisis, global plunder and deeper social, national and international conflicts. State militarism and interventionist wars only render greater injustice. Despite the odds, peoples everywhere are taking over their land, water and other resources against plunder. Social movements are making progress against imperialist offensives. Struggles for liberation and social emancipation are reaching new heights. Solidarity among working peoples and oppressed nations is stronger than ever. We say enough of empty promises! Enough of false solutions! Change the system to end the crisis! We need to take justice!